The Rotary Foundation Of Rotary International turns 100 . The Rotary Foundation helps fund Rotary’s humanitarian activities, from local service projects to global initiatives. Rotary Clubs and Districts can apply for grants from the Foundation to invest in projects and provide scholarships. The Foundation also leads the charge on worldwide Rotary campaigns such as eradicating polio and promoting peace. Rotary Clubs , Rotarians and friends of Rotary support the Foundation’s work through voluntary contributions. It started at the 1917 Rotary convention, (then called the International Association of Rotary clubs),when outgoing Rotary President Arch Klumph proposed to set up an endowment “for the purpose of doing good in the world.” This was twelve years after the founding of Rotary in 1905. 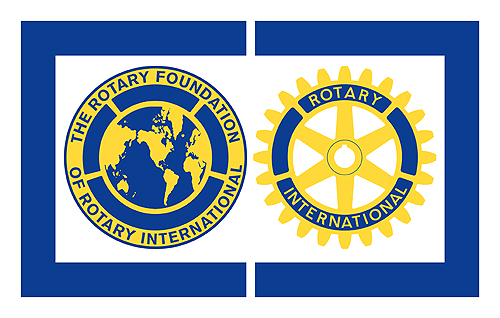 In 1928, it was renamed The Rotary Foundation, and it became a distinct entity within Rotary International. Arch Klumph’s idea for an endowment fund dedicated to “doing good in the world” planted the seed of The Rotary Foundation in 1917. Thanks to his vision and staunch advocacy, and the extraordinary generosity of Rotary members worldwide, that fund has become one of the world’s leading humanitarian foundations. Others have designated that their gift be used to support a favorite Rotary Foundation program in the name of a loved one. Sir Angus Mitchell, the first Australian to become president of Rotary (1948-49), helped launch this tradition in 1949, when he established a scholarship for an Australian student in honor of his wife, to be known as the Teenie Robertson Mitchell Memorial Fellowship. Thus began a long tradition that continues to this day “. There are many others through the world that have made similar gifts. Reference Chapter 11, "It's Not Just About the Money": "Doing Good in the World: The Inspiring Story of The Rotary Foundation's First 100 Years." 1.Provision of water tanks for the Rotahomes project in Fiji. Funding provided 11 tanks of which a third of the funds came equally from Club, District and Foundation Grants . Engadine continues to make regular contributions to the Foundation by way of Paul Harris Fellowships . Since 1987 to date some 45 Paul Harris Fellowships have been awarded to Club members and other members of the community and organisations.